During the World Poker Tour’s recently completed “California Swing,” the cream rose to the top with unprecedented consistency. First, Anthony Zinno took down top honors at the WPT L.A. Poker Classic for a six-figure score, his third WPT title and second in as many weeks. Next, Taylor Paur (pictured at right) won the WPT Bay 101 Shooting Star before finishing in third the following week at WPT Rolling Thunder. At the latter event Paur was appearing at his second consecutive final table alongside Ravee Mathi Sundar who placed sixth at Bay 101, then Sundar added his name to the WPT Champions Cup at Thunder Valley. While this confluence of results was indeed historic, something else caught my attention when virtually sweating each of these tournaments online. As I scrolled through pages live updates, it seemed as if dozens of hands would pass by without seeing a single raise made after the flop. Instead, players seemed content to simply check and call their way to a cheap showdown — even when contesting textured boards that would seem to warrant raising to “protect” made hands. 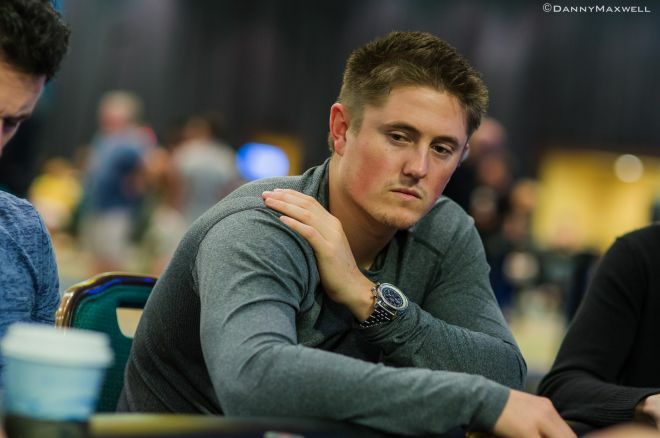 Obviously the intricate ICM ramifications of a deep WPT run, as well as the tour’s generously deep stacks during the latter stages of a tournament, played a role in shaping some of these check-call lines. But even when these factors are considered in full, I believe the clear lack of postflop aggression seen throughout the California Swing is indicative of a broader strategic trend taking root throughout the poker world. Before the “boom” and for years afterward, the majority of strategy books and poker primers advocated a fiercely protectionist worldview. When you were lucky enough to flop a pair or better, “proper” play dictated betting out (when out of position) or raising (when in position and facing a continuation bet). The objective was to force out inferior hands that could spike a lucky card and sink your made hand, or to price out drawing hands by offering insufficient pot odds. The idea of check-calling for three streets with a moderately strong (but still vulnerable) hand like top pair was considered foolishly risky, as you were tempting fate in essence, hoping the deck didn’t deliver an ace, pair the board, or otherwise improve your opponent’s potential holdings. Today though, this check-calling line seems to be the standard taken by top level players, as demonstrated by this trio of hand histories taken from each stop on the California Swing (as reported via the World Poker Tour live updates). 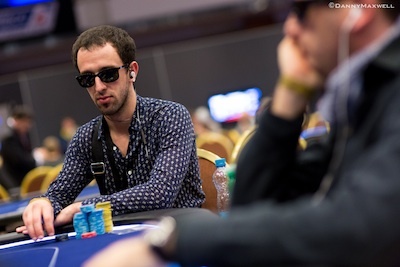 With only nine players remaining in the LAPC Main Event, Igor Yaroshevsky defended his big blind with after an opening raise and a flat-call behind him. The flop fell to give Yaroshevsky top pair with a strong kicker, but even with an extremely “wet” board (featuring both flush and straight draws), he elected to check-call Peter Tran’s small bet rather than raise while the initial raiser got out of the way. The arrived on the turn, prompting a second check by Yaroshevsky and a second bet by Tran. Now with three spades on board, and none in his hand, prior poker strategy would suggest a check-raise to scare out any hands that may contain a random spade, if only to avoid losing the pot in runner-runner fashion to a worse hand. Yaroshevsky flatted once more, however. The river brought the and checks from both players, sending a decent-sized pot to Yaroshevsky at showdown. Rather than raise and force an aggressive opponent’s wide range of bluffs into the muck, Yaroshevsky just tapped the table and separated Tran from two streets worth of value. A hand at the Bay 101 Shooting Star final table found Jacob Bazeley also choosing to keep the pot small by flatting every street rather than putting in a raise. With in the hole, Bazeley defended his big blind with a call after an Issac Baron raise, and the two saw a flop come . Bazeley checked, Baron continued with a half-pot sized bet, and Bazeley called with bottom pair. The then fell on fourth street, improving Bazeley to two pair, and he checked again. After Baron fired a second barrel on the turn, old-school poker strategists would likely recommend a raise, both to extract value with a strong hand and to discourage flush and gutshot draws from getting there on the cheap. Bazeley opted to flat-call, however, and even though the on the river reduced his hand’s overall strength by pairing the board, he called Baron’s big third barrel as well to win a substantial pot. In this hand, Bazeley held a monster on the turn, but rather than press the pace by raising (and thus exposing himself to a three-bet jam that could be difficult to call considering the stakes), he ensured that a showdown would be reached. Finally, at the Thunder Valley final table, a hand arose that saw Ravee Mathi Sundar raise from the button and Taylor Paur call from the big blind with , then Paur flopped top pair when the first three community cards came . Paur checked to the aggressive amateur, Sundar obliged with a c-bet, and Paur smooth-called rather than raise to “protect” his hand against or ace-high bluffs. The turn was the . With a backdoor club draw now in the mix, Paur opted to check-call once more, eschewing an aggressive play in favor of pot control. The river then brought the safe-seeming to complete the board, and Paur might have gone for a value bet on the river. But instead he checked for a third time and won at showdown. 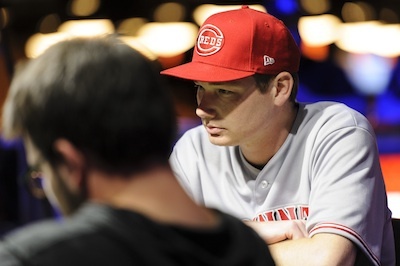 The lesson I gleaned from studying these three hands — and countless others that followed the same line — is relatively straightforward: top-flight pros have realized that “passive” play can often be more profitable in the long run. Even recreational players know that you can’t simply wait for big hands, meaning bigger and bolder bluffs are being attempted all the time. By flatting the majority of postflop bets after connecting with the board — rather than raising to “protect” your hand from worst-case scenarios that the odds dictate won’t happen all that often — you can earn additional bets by letting opponents bluff away. Furthermore, when playing a deep stack, flatting can be the best way to avoid finding yourself in tough spots against players who are more than capable of three-bet jamming and putting you to the test. Get all the latest PokerNews updates on your social media outlets. Follow us on Twitter and find us on both Facebook and Google+! Satellite Strategy: A Time to Fold Pocket Kings?